Do you feel like time flies during the holidays? Me too, which is why I created this Holiday Bucket List for myself so I can remember to do all the things we want to do. I’m sharing this free printable for you, as well as some great food ideas to help you check some items off your list. I added some easy things to the list, like decorate the Christmas tree and wrap presents. Whenever I make a list I like to add a few no-brainer items I know will get checked off so I feel better about myself. I also added some Santa items this year (writing a list and sitting on his lap) because, well, Jordan is 12. I still want the magic of Santa to continue! Along with the normal Christmas things like watching Elf or Home Alone, I added some things I want to do to share the meaning of Christmas with Jordan. Things like donating to Toys for Tots, telling each other we love each other, paying it forward, and delivering surprises to neighbors, teachers, and the fire house. It’s always important this time of year to show our thanks for all the things that the people in our world do for us. After all that, there’s the food. Of course, for me, the holidays are about the food, whether it be the traditional sides at Thanksgiving dinner (Cornbread Stuffing and Knoepfle) or making our favorite cutout sugar cookies or Mom’s Pecan Pie. You’ll also see having fondue for dinner as an item – we always do that for New Year’s Eve. 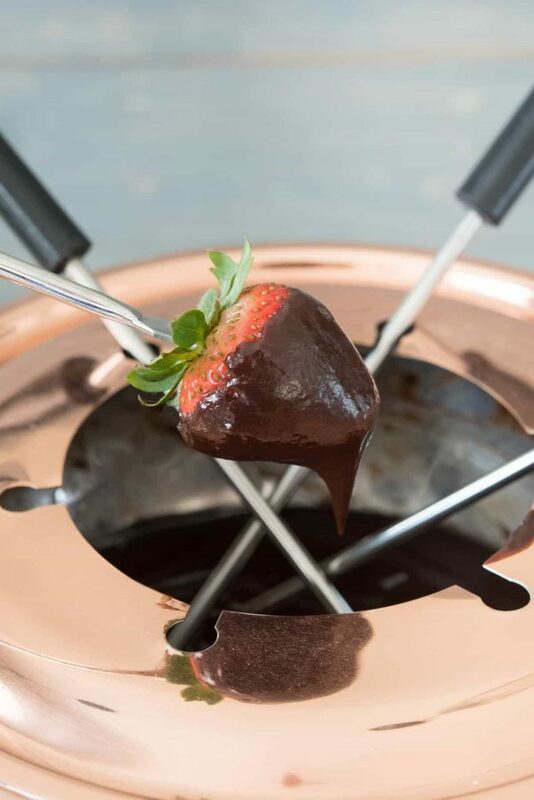 Last year we added Peanut Butter Fondue and this year…NUTELLA Fondue is on the list. And don’t forget cupcakes. I know Christmas is a cookie holiday but did you know that Red Velvet is a traditional Christmas recipe? 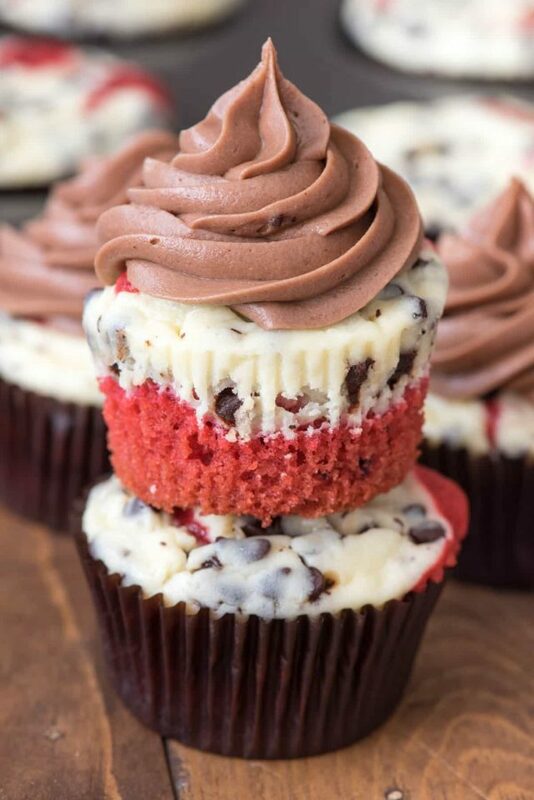 This year I’ve partnered with The Home Depot and their new blog to share two new favorite recipes, Red Velvet Chocolate Chip Cheesecake Cupcakes and Nutella Fondue. The recipes are live over on The Home Depot blog and I know you’ll want them ASAP. Get the Red Velvet Chocolate Chip Cheesecake Cupcake Recipe here, which uses this muffin tin. Get the Nutella Fondue Recipe here, which uses this fun old fondue pot! 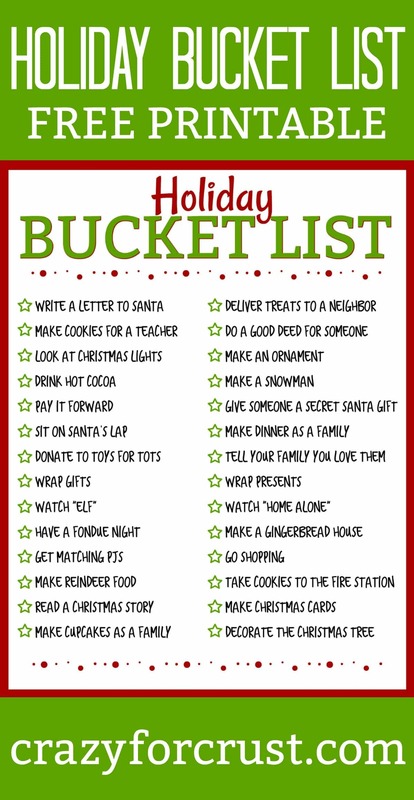 And click HERE to download the Holiday Bucket List! This post has been sponsored by Home Depot. All Opinions are 100% my own. Those cupcakes are *perfect*. Wow. Love the frosting and the two-tone layers! Love how pretty and festive those cupcakes are! 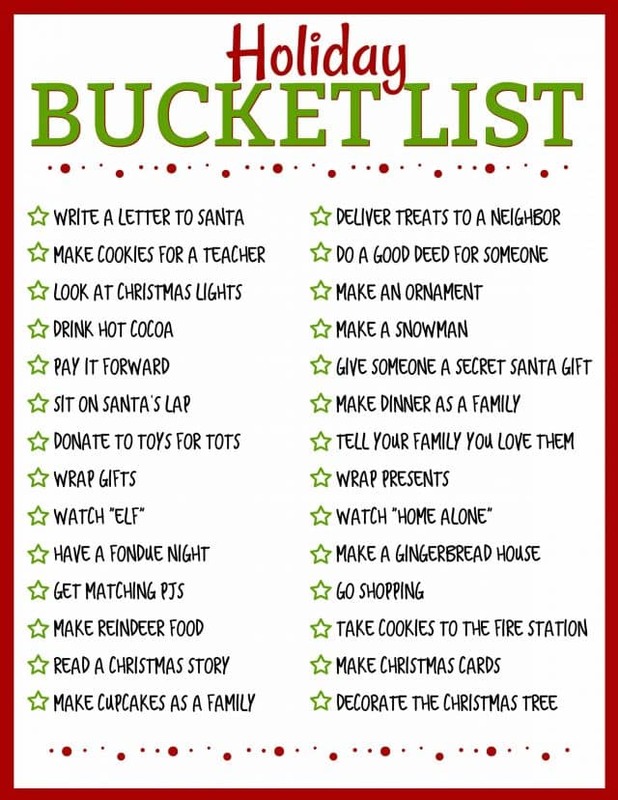 I make a Christmas bucket list every year, very similar to your, except we take cookies to the police station. Awesome planning ideas and I love those little cupcakes!!! I’ve never made a holiday list like this but maybe I should. You know, accountability? Great holiday list, it’s worth trying to get at least some of these done – there are so many that by the end of holiday you’re bound to get at least half done and that will be fun enough! Making a printable bucket list is great and it so cute. The ideas are enjoyable too. Thanks for this!